Use the Image Viewer app to view and explore images. The Image Viewer app includes tools that you can use to examine image pixels in detail, crop an image, and measure distances between pixels. Use the imtool function to launch the Image Viewer. 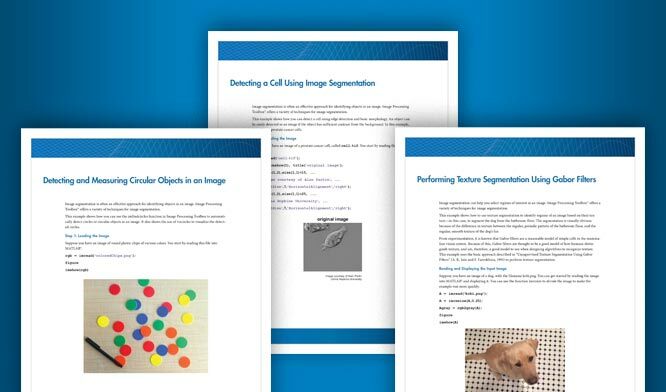 You can display, explore, and process images interactively with Image Viewer app. You can use navigation aids to magnify and pan across images. You can also see an overview of the entire image with a rectangular overlay that indicates the current region in view. You can extract, or crop, a rectangular region of the image. You can fine tune the size and position of the crop region. You can get information about the image dimensions, class, image type, and file metadata. You can view and edit preferences to control how images are displayed on your screen by default.